This species is accepted, and its native range is Guinea, Príncipe to Chad. Cameroon, Central African Repu, Chad, Congo, Gabon, Guinea, Gulf of Guinea Is. Habenella stenochila (Lindl.) Szlach. & Kras-Lap. Szlachetko, D. & Kowalkoska, A. (2007). 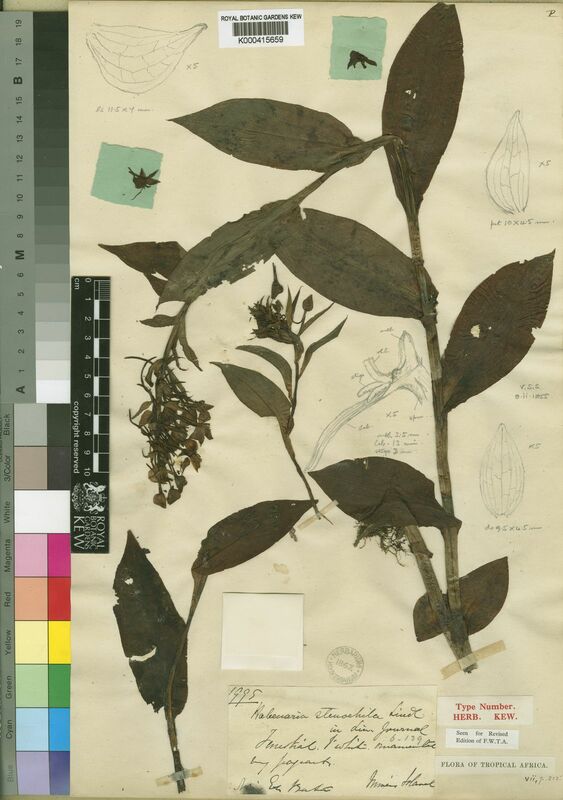 Contributions to the orchid flora of Guinea, West Africa Polish Botanical Studies 25: 1-259.